After seeing the Isango Ensemble’s fascinating Magic Flute (Impempe Yomlingo) last year at the Broad Stage, I knew I had to see their version of Carmen when I learned it was coming. By sheer coincidence, I ended up seeing it on the very anniversary of the Flute performance I saw. It didn’t disappoint. Performed with Bizet’s legendary score re-orchestrated for marimbas and drums, infused with the sounds of South Africa, and featuring a 30-member, all-South African ensemble who do double duty as musicians and singers, this Carmen was a fresh, intimate, vibrant vision that effortlessly blended European art with African artistry. Admittedly, uCarmen was a slightly less daring enterprise than Impempe Yomlingo. Bizet’s score is already full of “exotic,” “ethnic” rhythms and idioms, which makes its effectiveness when “South African-ized” less of a surprise than a Mozart opera’s. But it was no less of a success! As I wrote in last year’s Impempe Yomlingo review, the familiar score lost none of its innate magnificence, but only gained new charms when reimagined in a South African vein. It offered living proof of how much two vastly different cultures have to share with each other. 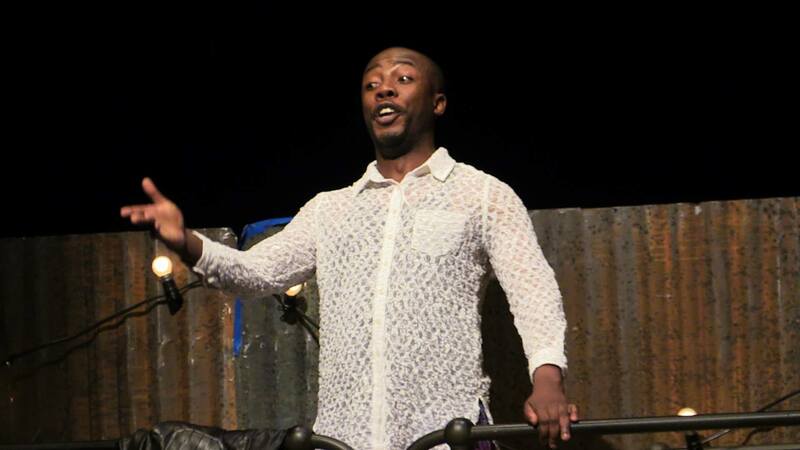 Like Impempe Yomlingo, this opera was performed on a raked, minimalistic unit set with a backdrop of metal fencing and scaffolding, and was performed mostly in English, with occasional forays (fewer than in the Flute) into Xhosa. The costumes were mostly modern street clothes, though Micaela’s looked more like a ‘50s housedress and Carmen’s red gown in the final scene had a stylized, timeless look. The production took place neither in a specific time period nor a specific location – the program described the setting as “a land that somehow borders France, Spain and South Africa.” The stage business was stylized and, like last year’s Mozart production, featured constant dance. 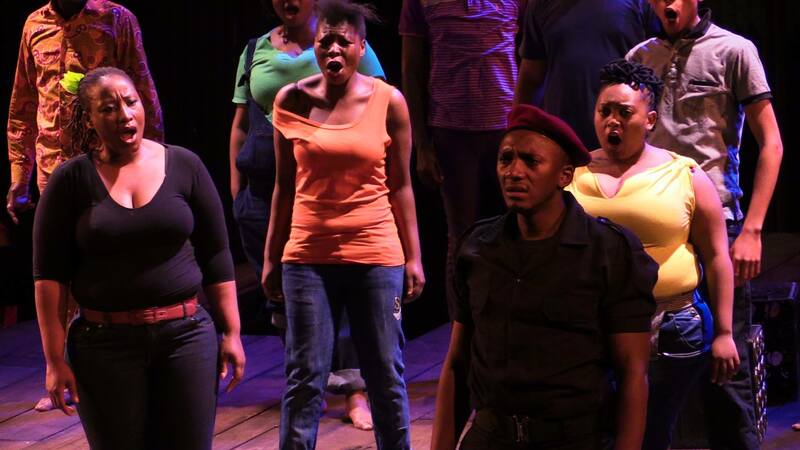 It also emphasized the theme of “gender-based violence” and “the position of a strong and independently minded woman in a very masculine society,” which according to director/adaptor Mark Dornford-May are particularly pressing issues in contemporary South Africa. The soldiers in Act I sang gleefully about “pinching girls’ arses” and blatantly harassed Micaela, while the factory women weren’t coquettish but merely stood their ground against the lascivious men. In pointed contrast to those “pillars of society,” the gypsies and smugglers showed equality and respect between the sexes, and always leapt to Carmen’s defense when Don José turned dangerous. In the final tableau, the person kneeling and sobbing over Carmen’s body wasn’t José, but Frasquita, while José was seized by the rest of Carmen’s friends who seemed ready to inflict their own brand of justice on him. The opera was performed in two acts, with considerable cuts, though fortunately the major arias were all intact. 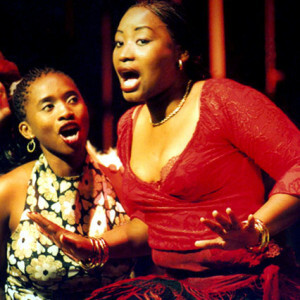 The Act I children’s chorus was missing and most of the ensembles were abbreviated, as was José and Micaela’s Act I duet, Frasquita and Mercédés’ card scene, José and Escamillo’s duel, and the final confrontation between Carmen and José. 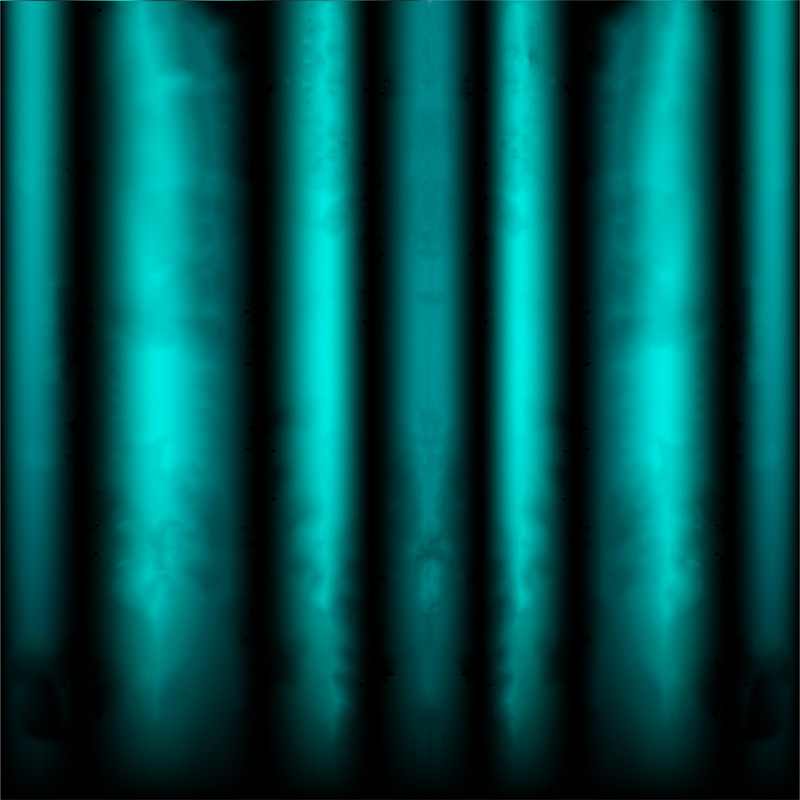 Most importantly, except for the occasional line or two, all the spoken dialogue was cut. This choice had mixed results. On the one hand it streamlined the opera nicely with surprisingly little effect on the plot’s clarity. On the other hand, nuance was lost, particularly regarding the breakdown of Carmen and José’s romance. They seemed perfectly content together until Escamillo reappeared, which made José’s instant bloodthirsty jealousy seem completely irrational and Carmen exceptionally fickle. Like last year, the performers were listed alphabetically in the program, not by role. But I knew instinctively that Carmen herself was Pauline Malefane, the company’s co-founder and prima donna, who was last year’s Queen of the Night. 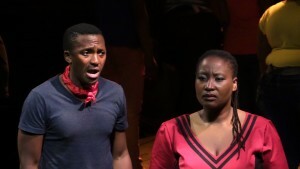 Later I also learned that José was Mhlekazi Mosiea, Micaela was Busisiwe Ngejane, and Escamillo was Ayanda Eleki – and I instantly recognized Mosiea and Eleki as last year’s Tamino and Sarastro, respectively. Melefane, who has sung Carmen in various iterations for years, owned the stage from beginning to end. She wasn’t a stereotypical temptress, being a heavyset woman in her late thirties, but she captivated all the same with her rich, smoky voice and personality. She danced with sensual abandon, but avoided cheap “sexiness,” and offered all the humor, audacity and fierce independence that the role requires, yet also effectively brought forth Carmen’s vulnerable side in the opera’s later half, conveying genuine sadness and fear as she faced death without it detracting from her bravery. My feelings about Mosiea’s José were more mixed, though he certainly sang with a sumptuous tenor voice and vividly conveyed the character’s love, pain and fury. With his slight, boyish figure, he seemed much younger than Melefane’s Carmen (last year he was fully convincing as the lover of her character’s daughter, after all), and generally came across as a naïve, weak-willed lovesick puppy, whose deadly outbursts of rage were a total shock – the popular stereotype of José more than the “real” José from the opera as originally written. Eleki’s dark, luxurious bass-baritone, though naturally more of a Sarastro voice than an Escamillo voice, captivated in the Toreador Song, and he cut a strapping figure (more hot-blooded than most Escamillos – he showed genuine rage toward José, not amused contempt). 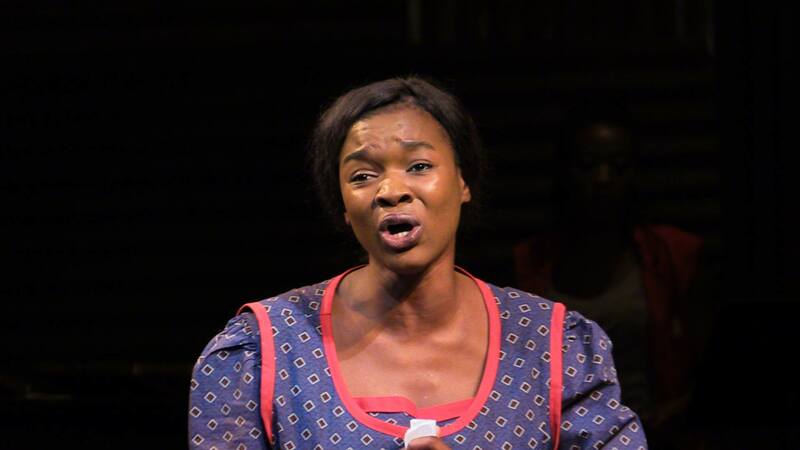 Meanwhile, Ngejane’s Micaela sang with a beautiful lyric soprano and conveyed just the right air of sweet innocence. A fiery Zuniga, an endearing Frasquita and Mercédés, and an always-exuberant ensemble of singer-musicians made the performance complete. If you’ve ever thought of Carmen as a piece done to death, which no production can infuse with new life, then see this production. It will change your mind. With their array of talent, their endless energy, and their effortless reworking of European music into an African sound world, the Isango Ensemble can make any timeworn opera feel excitingly fresh and new. Hopefully I’ll see their take on La Bohéme someday, as well as any other operas they eventually tackle. Their Carmen and Magic Flute have set a high standard!